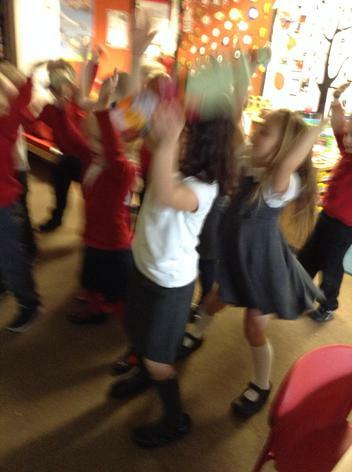 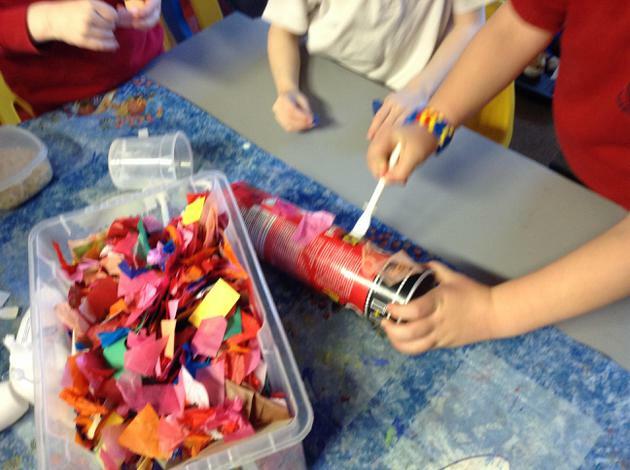 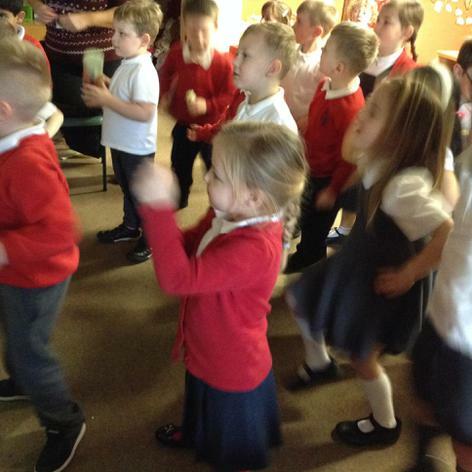 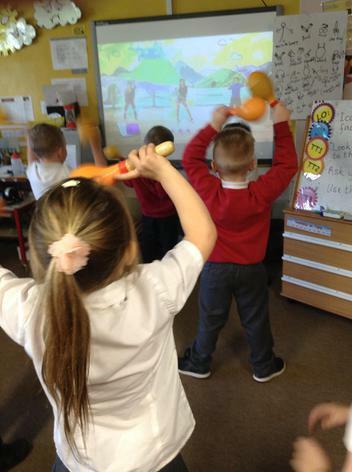 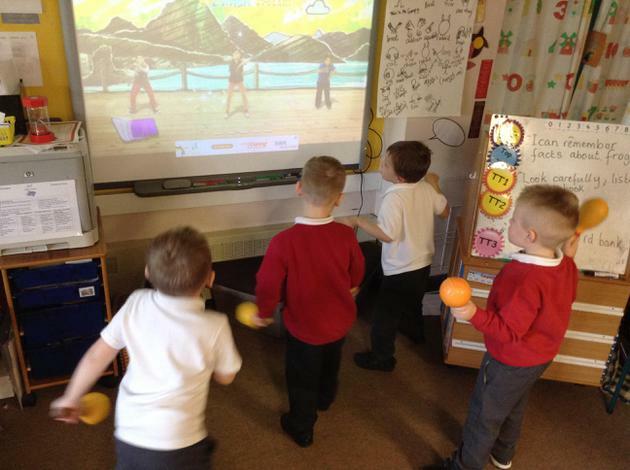 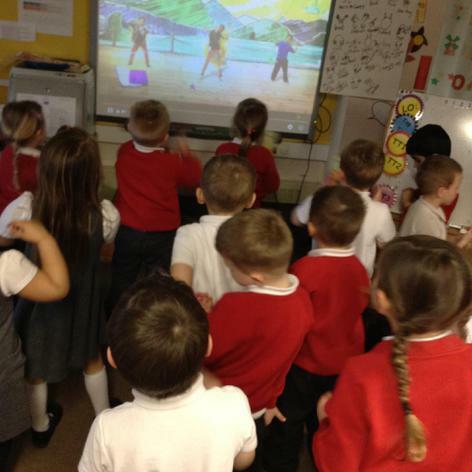 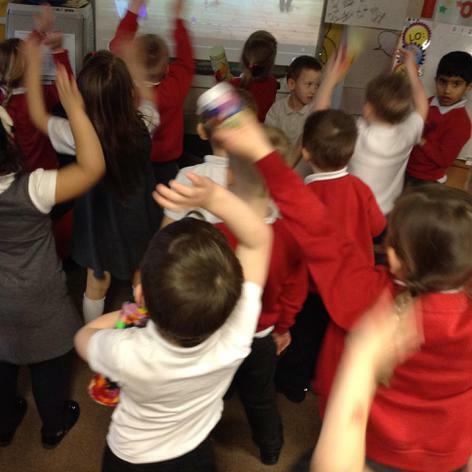 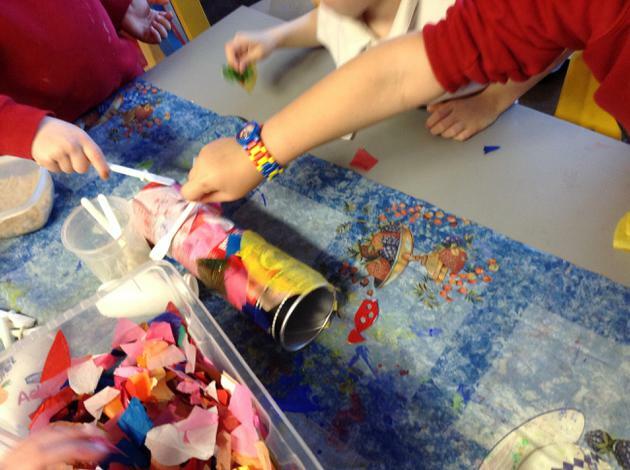 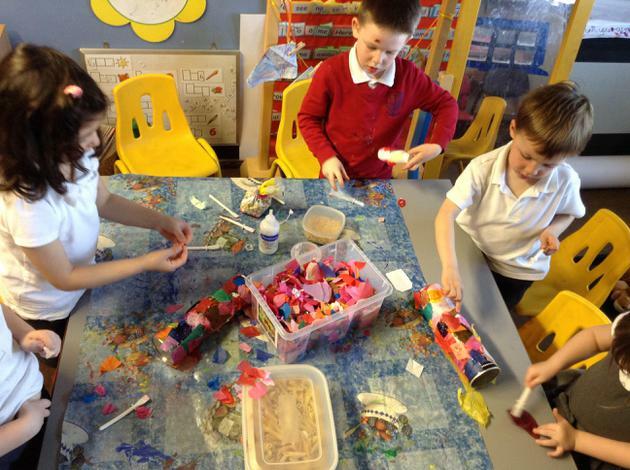 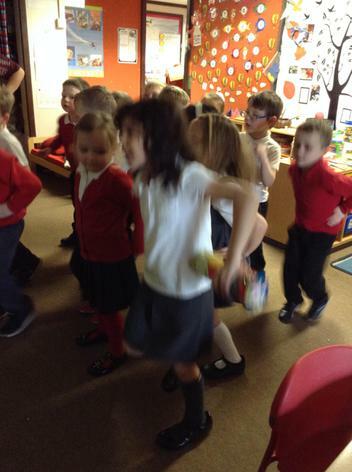 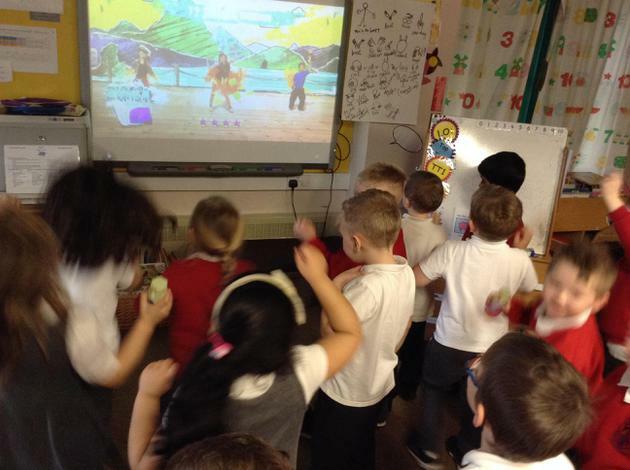 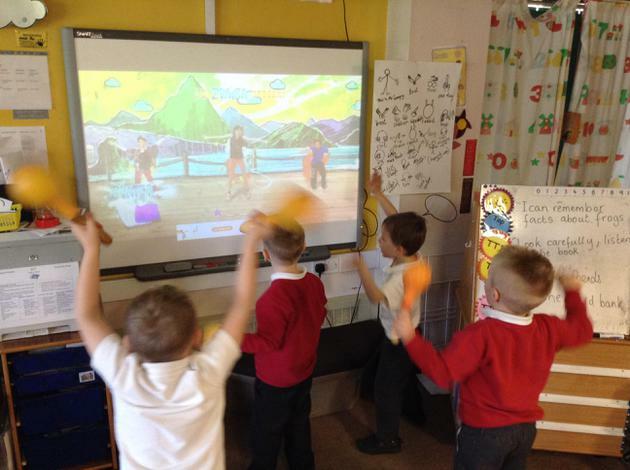 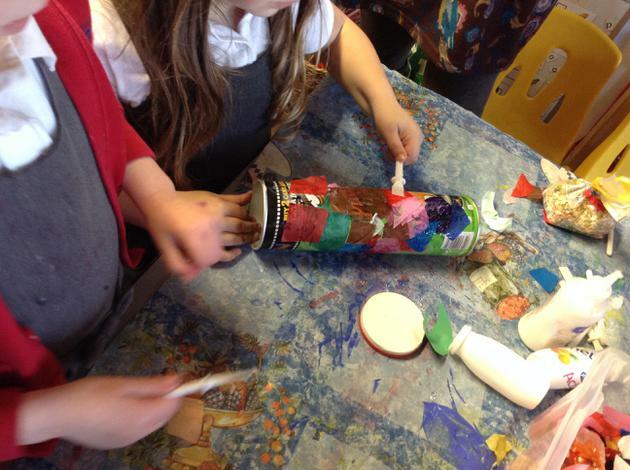 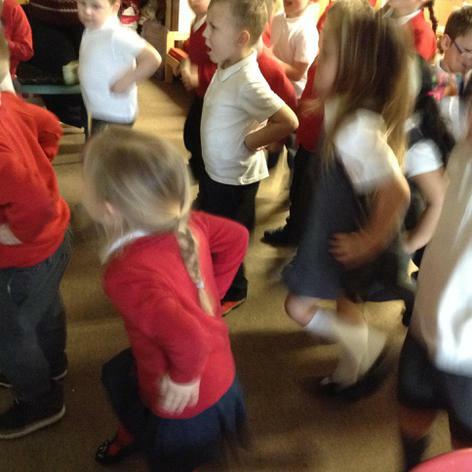 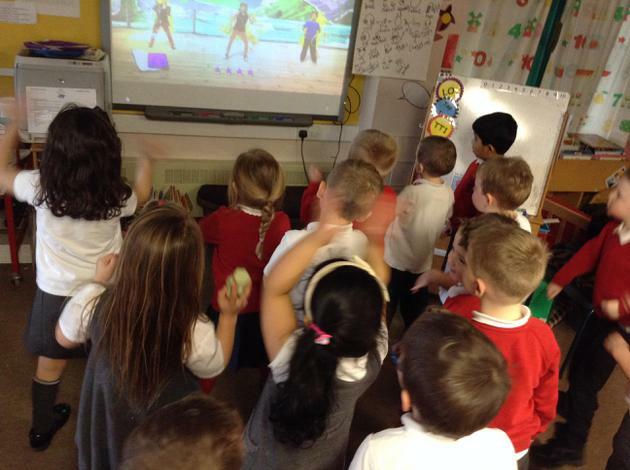 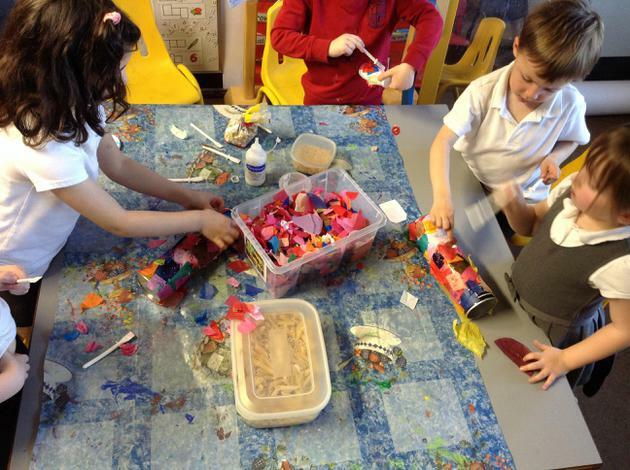 - making our class maracas and flinging ourselves about (with style) to Kids Do Zumba. 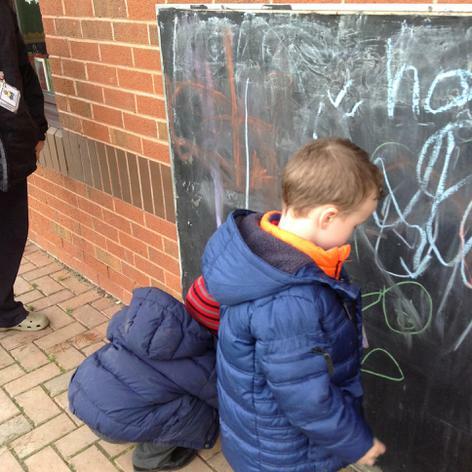 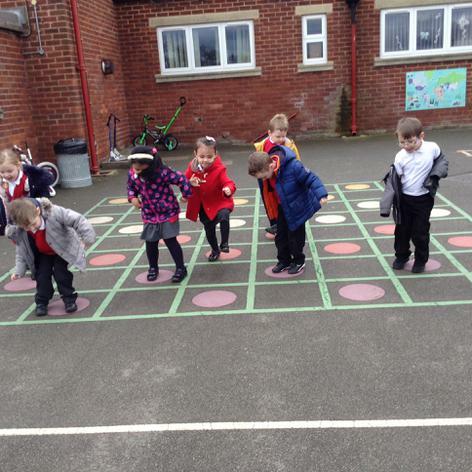 -playing Beans and Hop Scotch outside. 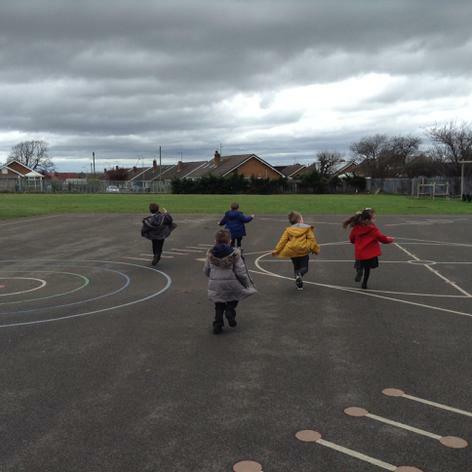 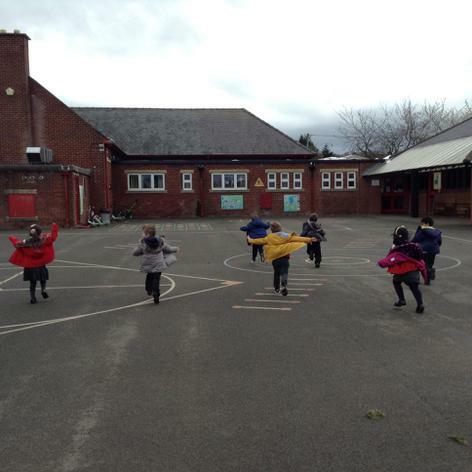 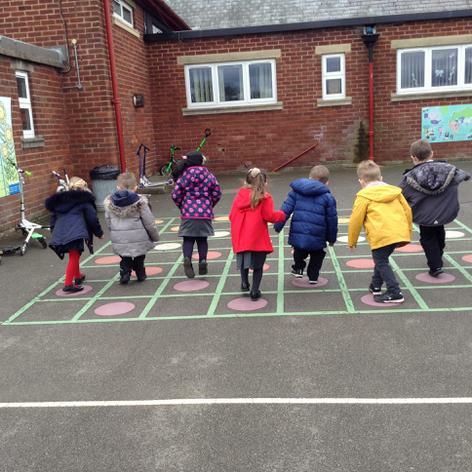 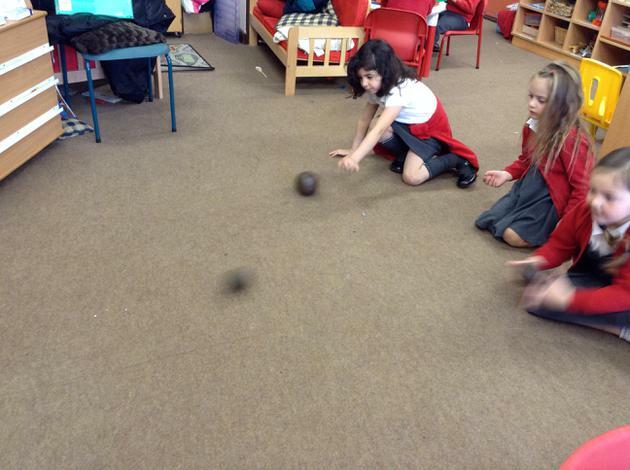 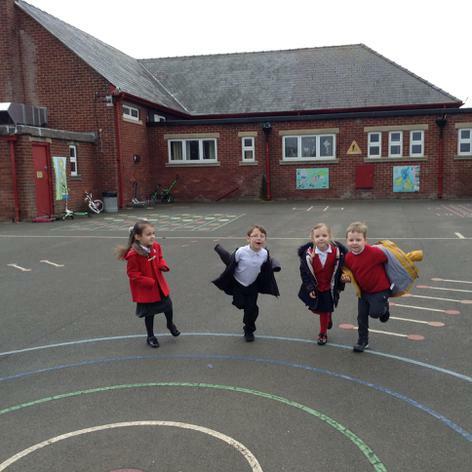 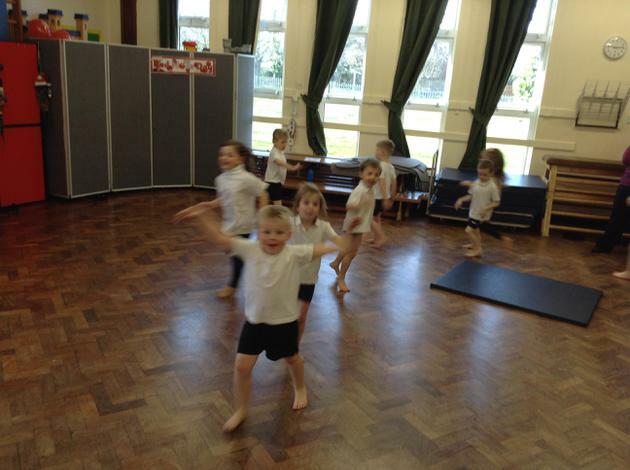 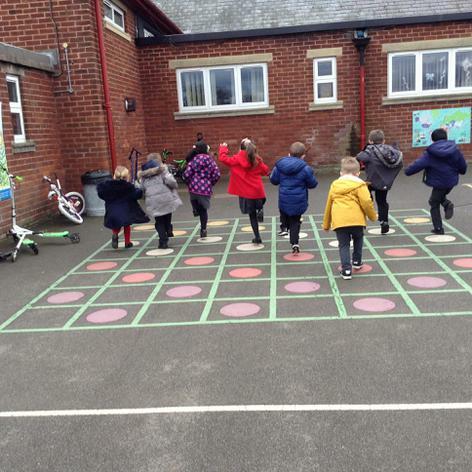 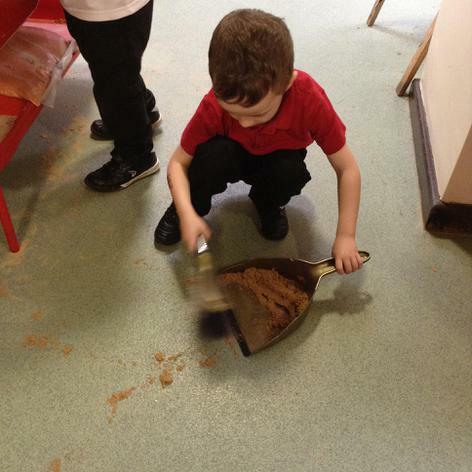 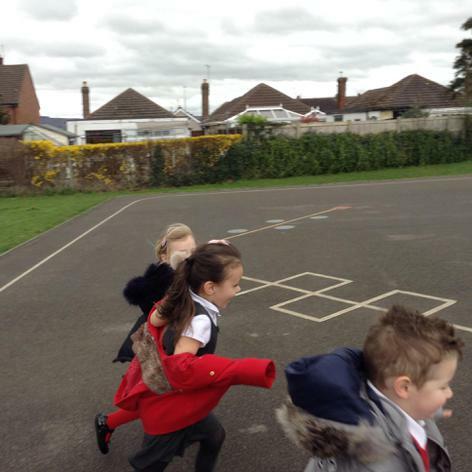 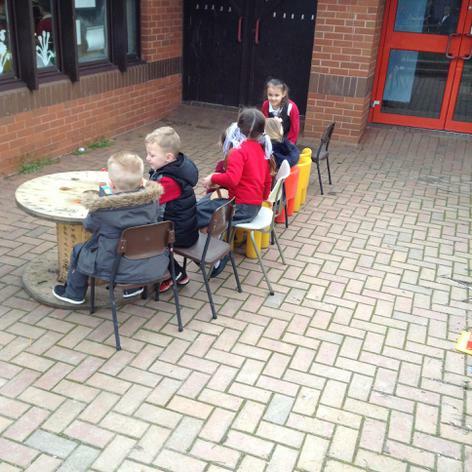 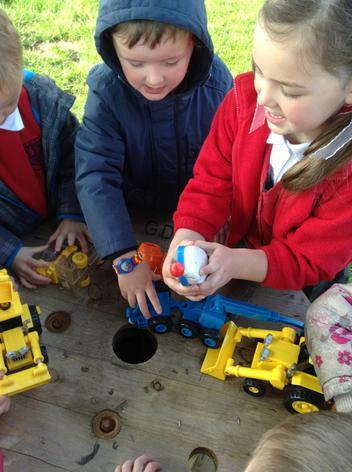 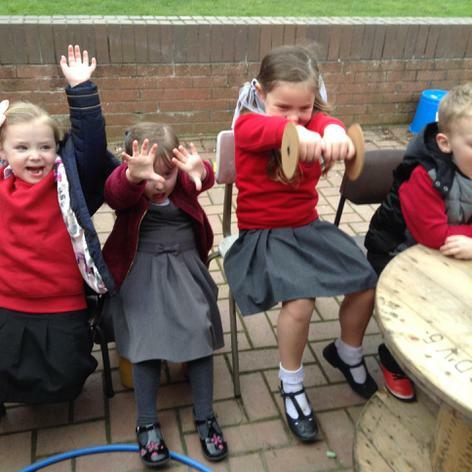 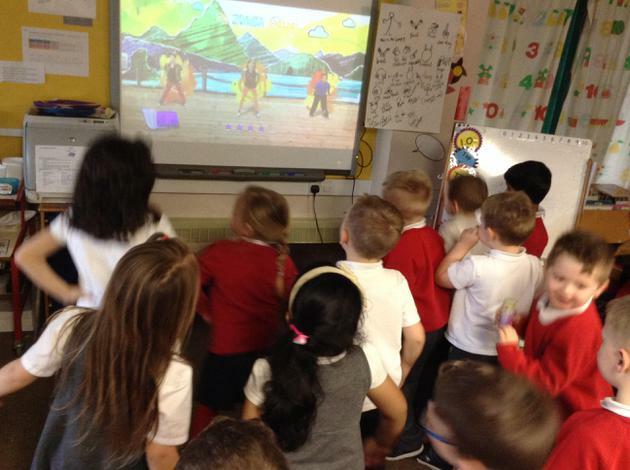 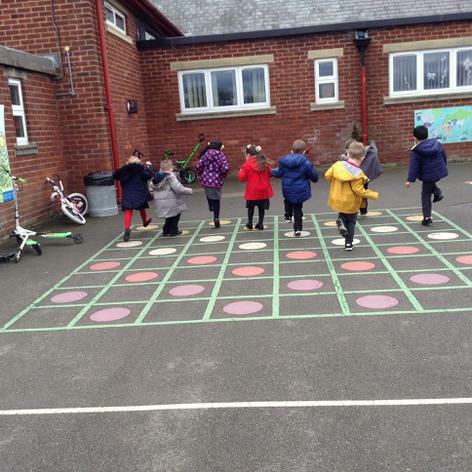 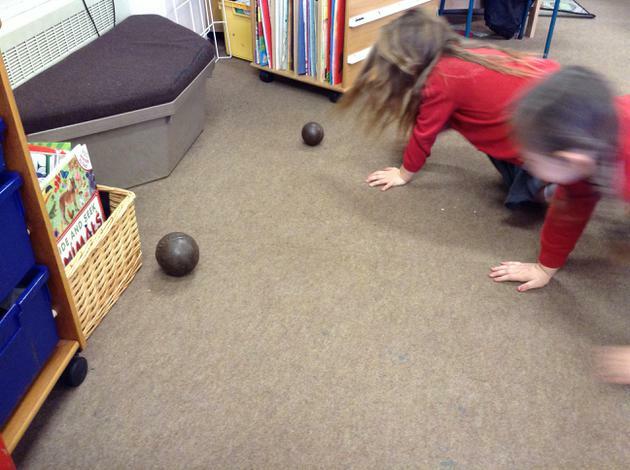 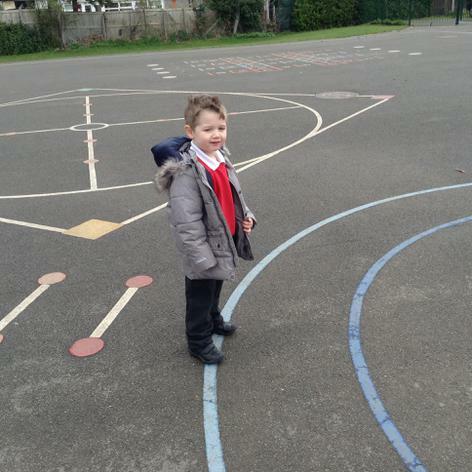 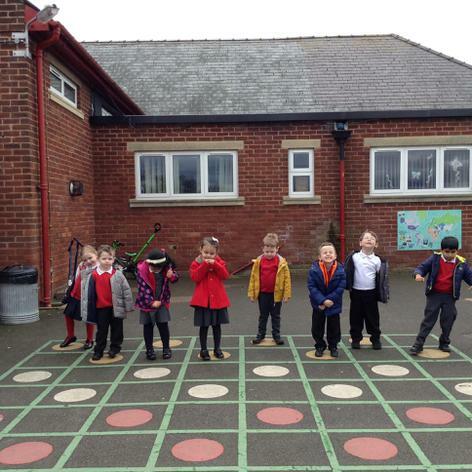 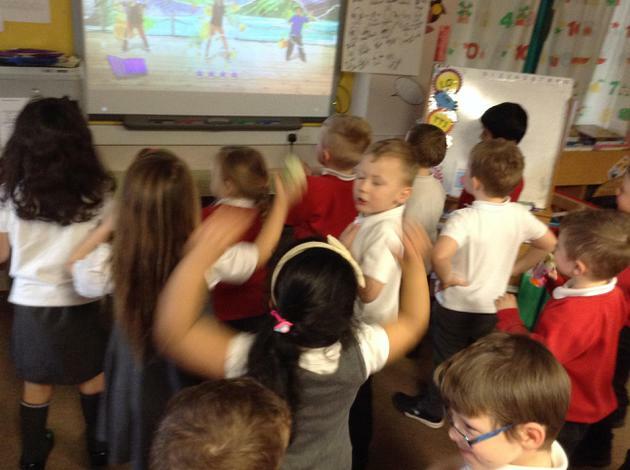 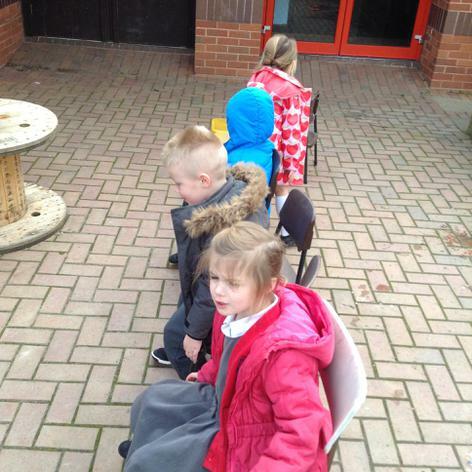 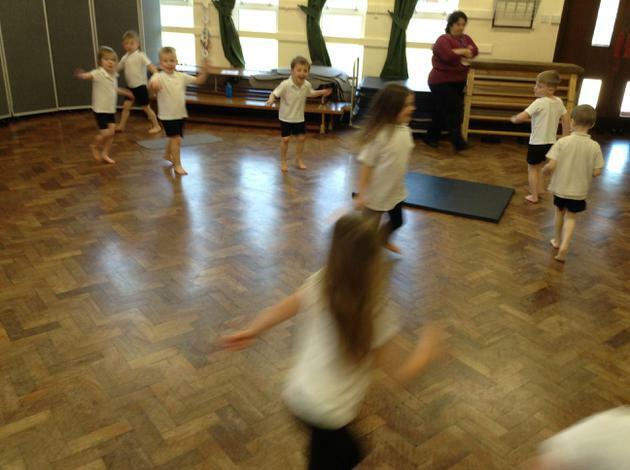 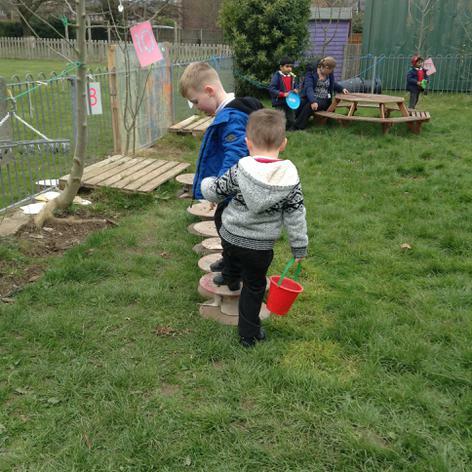 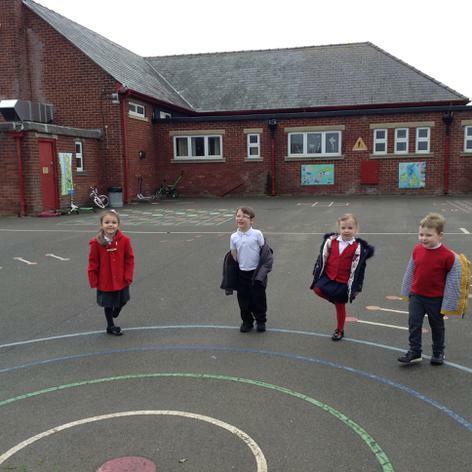 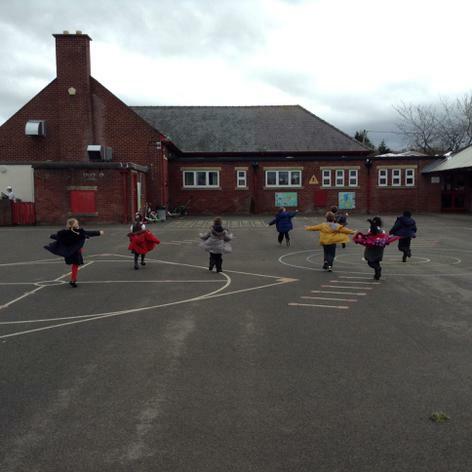 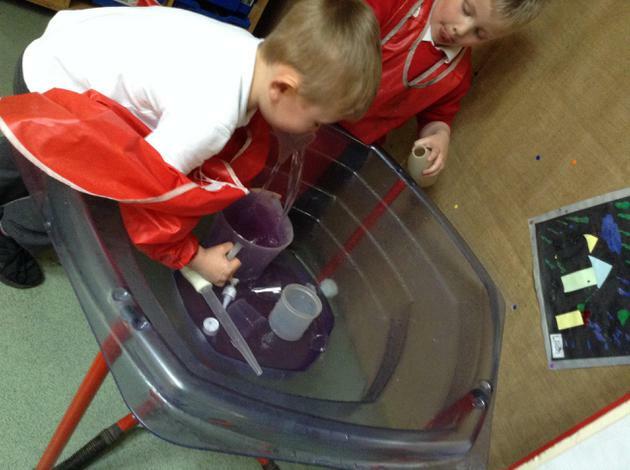 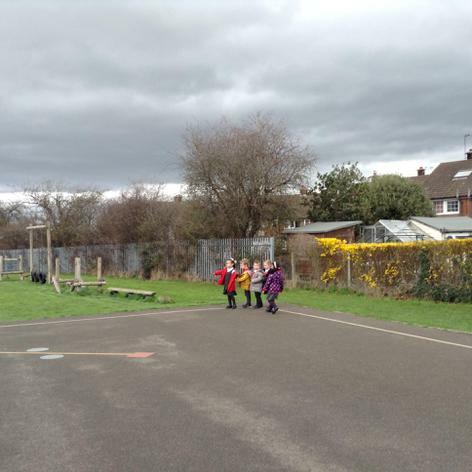 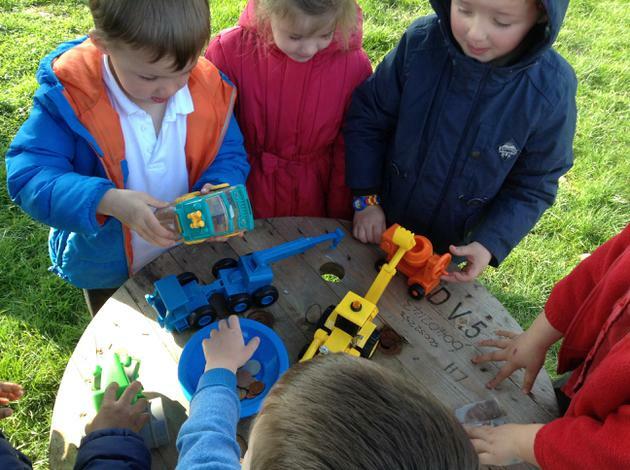 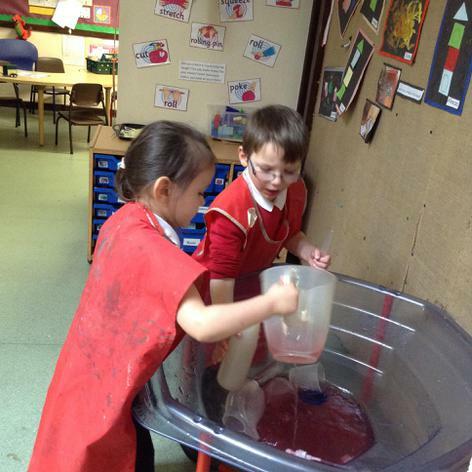 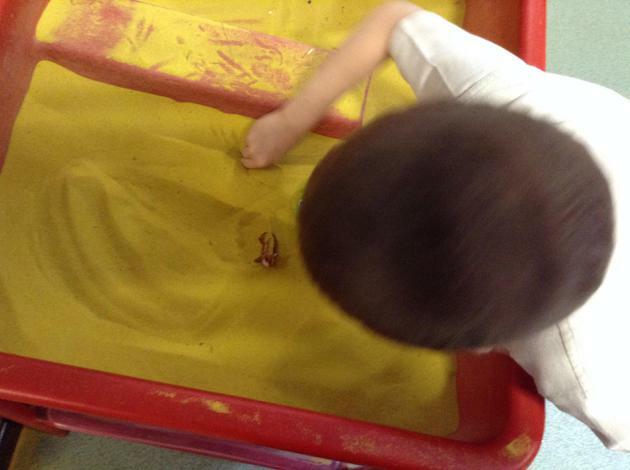 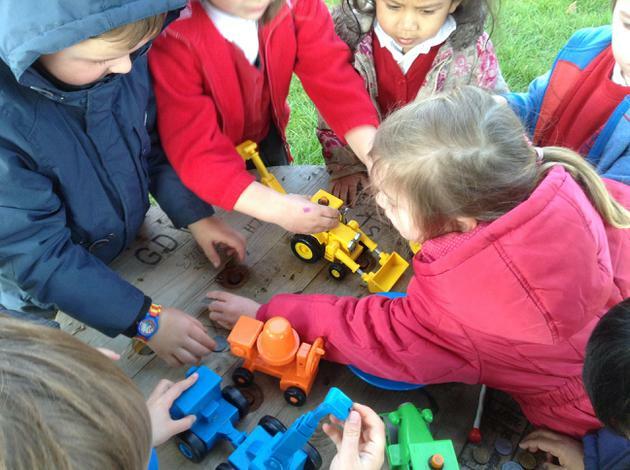 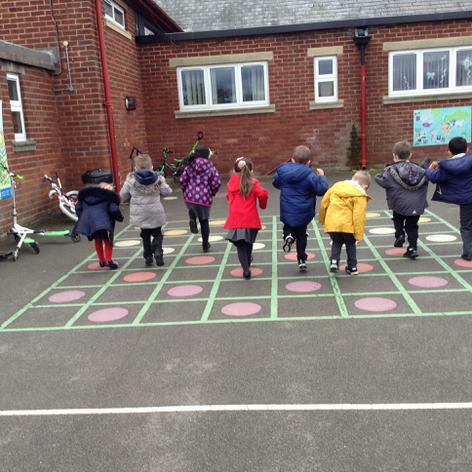 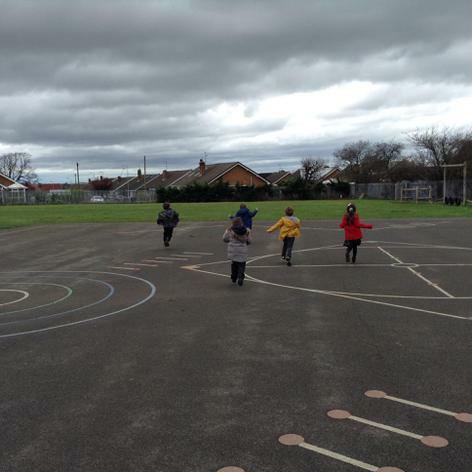 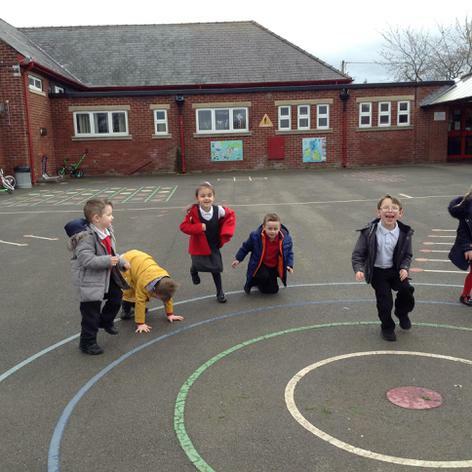 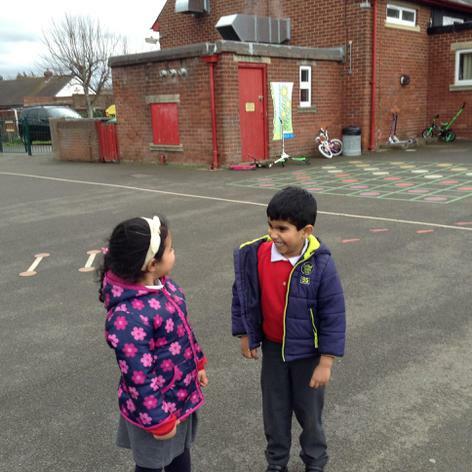 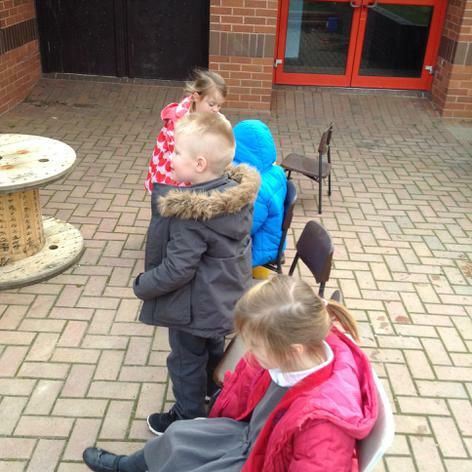 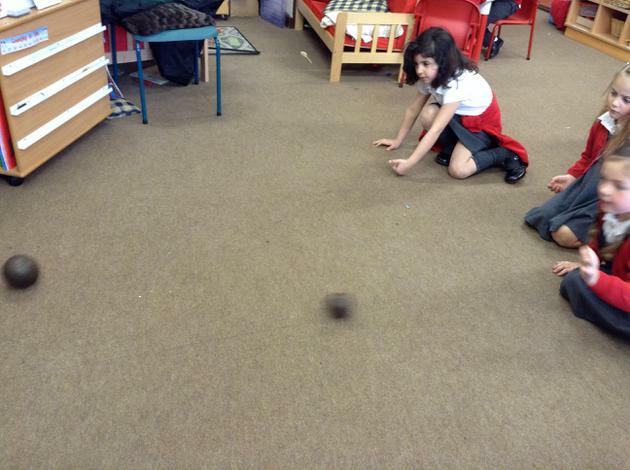 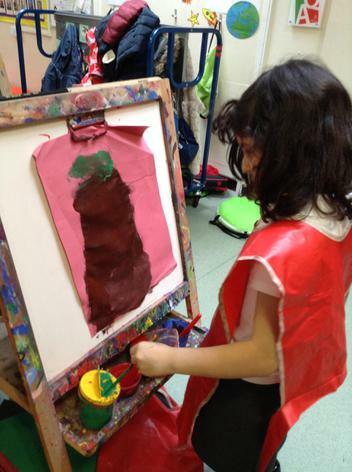 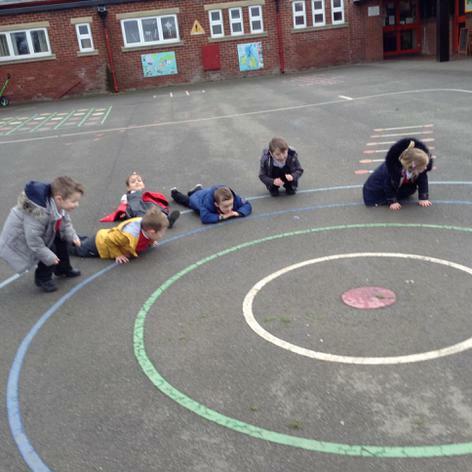 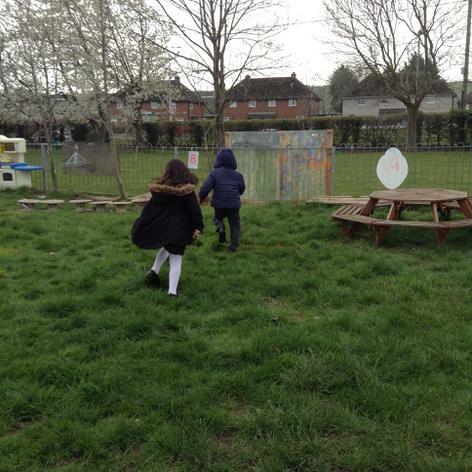 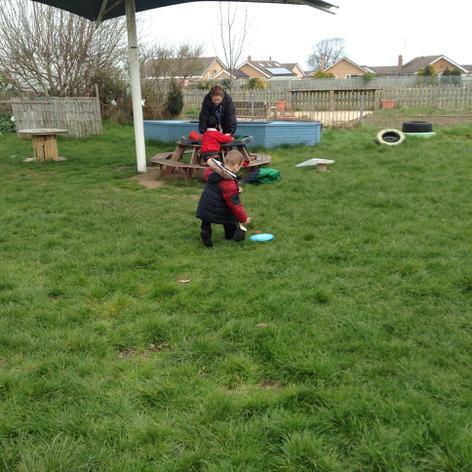 -playing lots of fast, fun games in our PE kits, like Sharks and Stuck in the Mud. 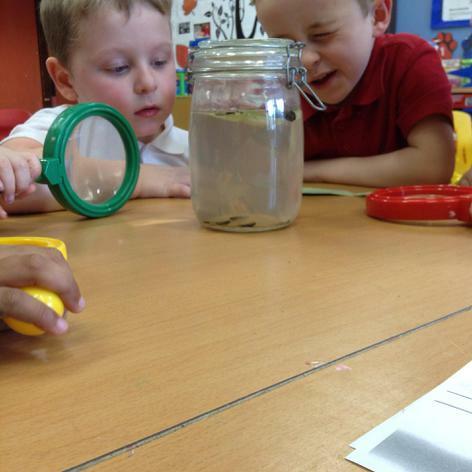 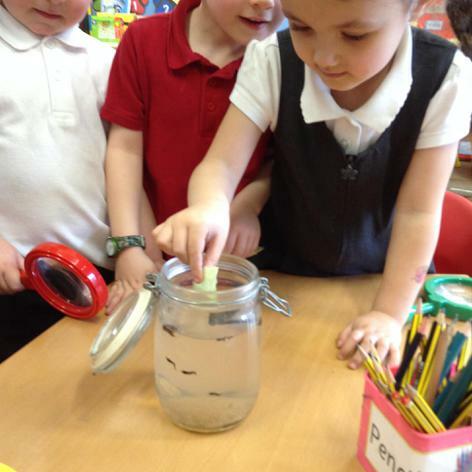 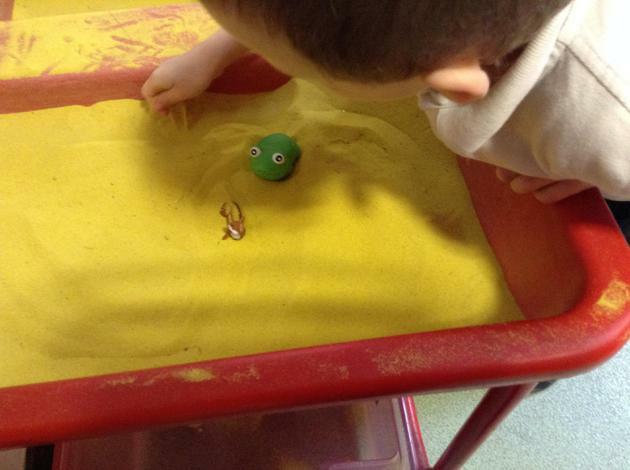 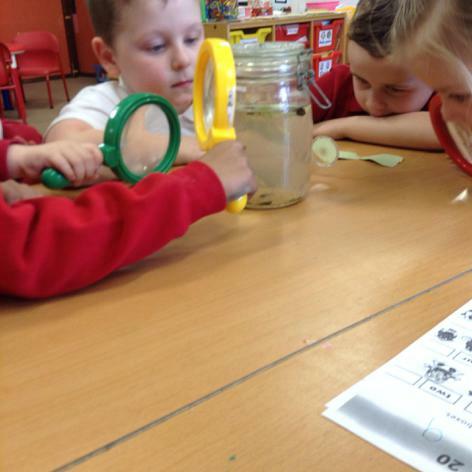 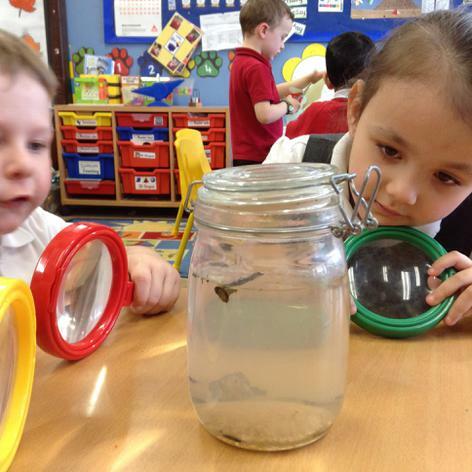 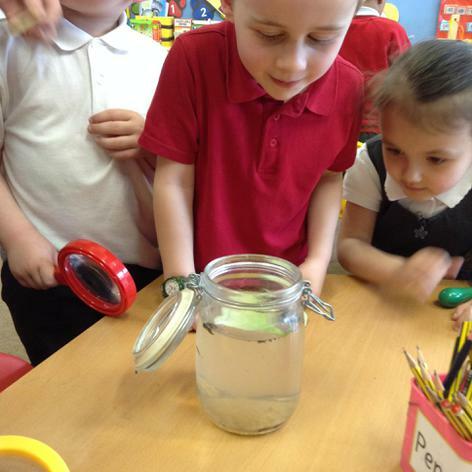 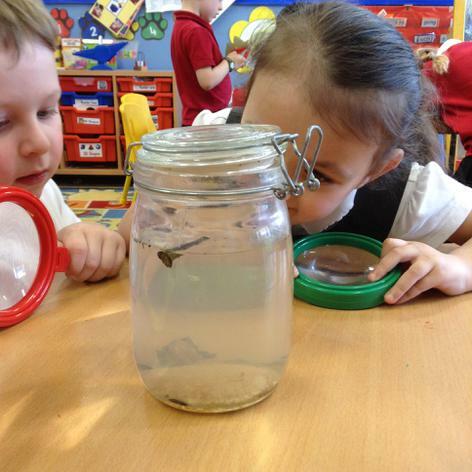 We have learnt about how tadpoles become frogs and Mrs Bayliss brought some tadpoles for us to investigate. 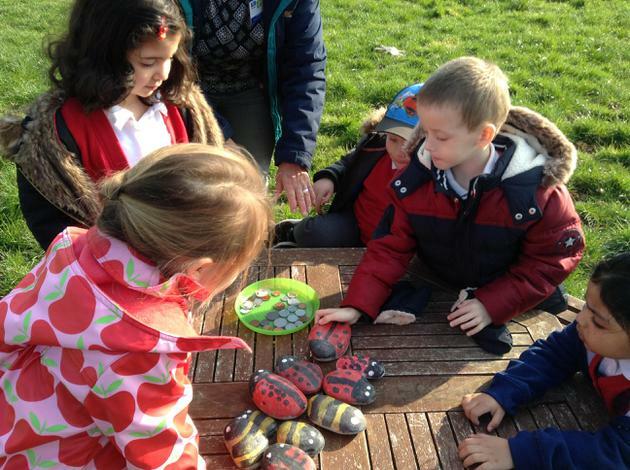 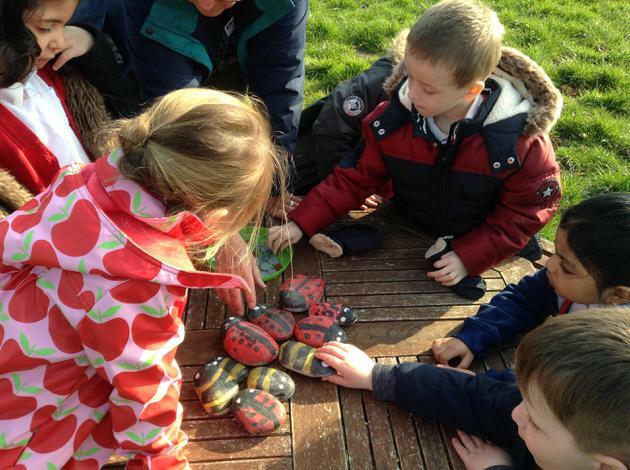 We set up shop outside and had a sort of car boot sale ( with sticks and painted stones etc.) 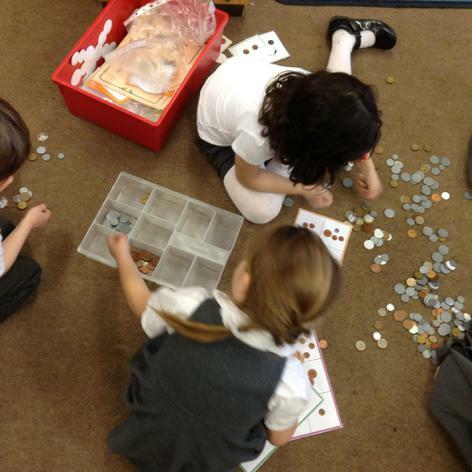 and practised spending money. 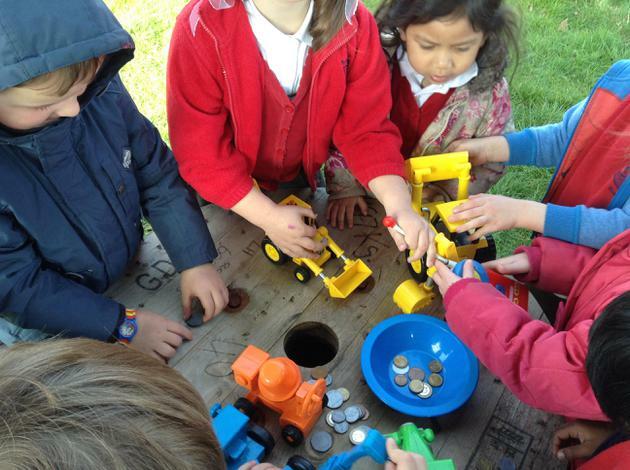 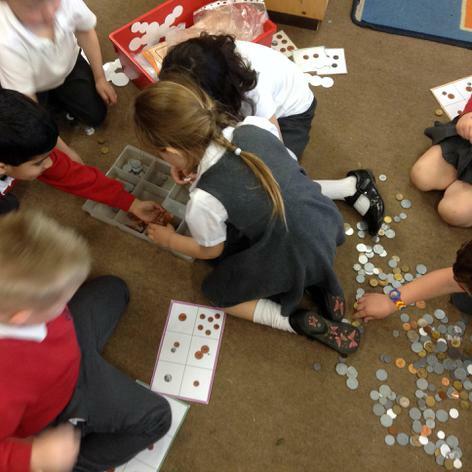 We matched and sorted our plastic coin collection. 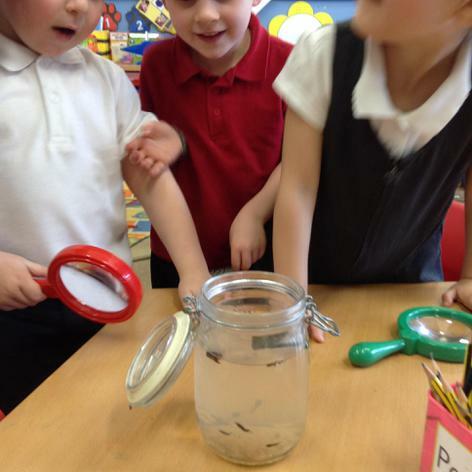 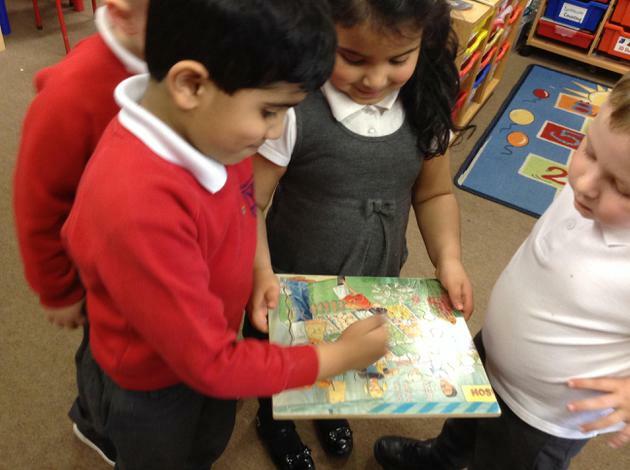 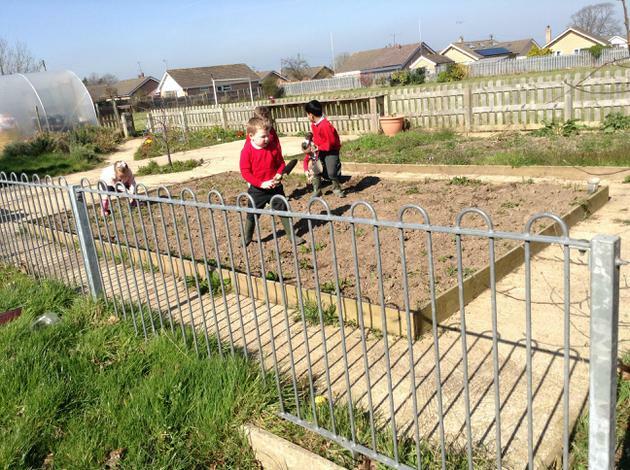 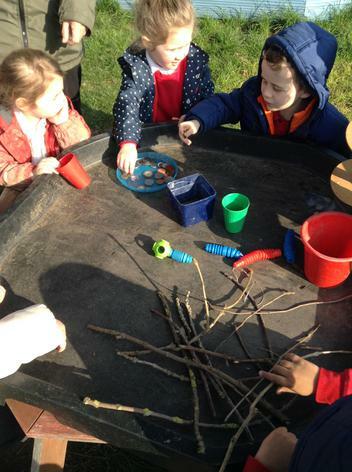 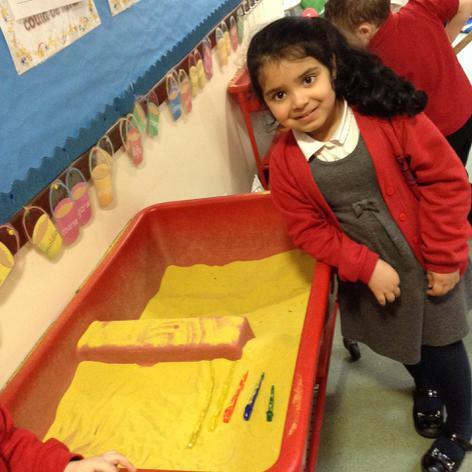 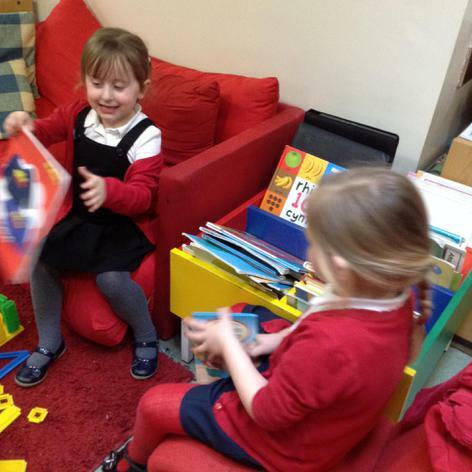 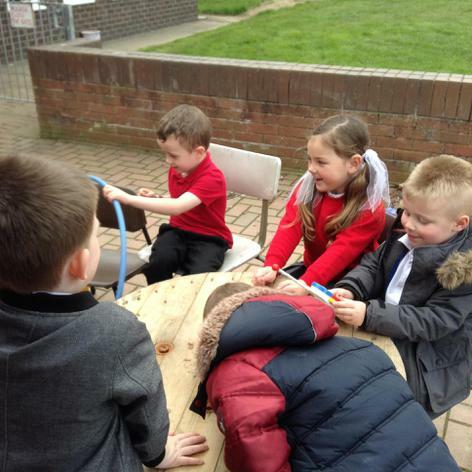 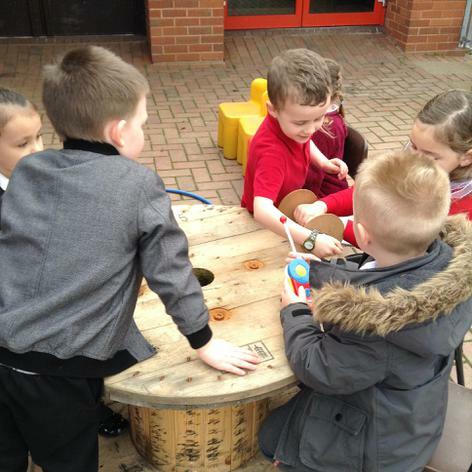 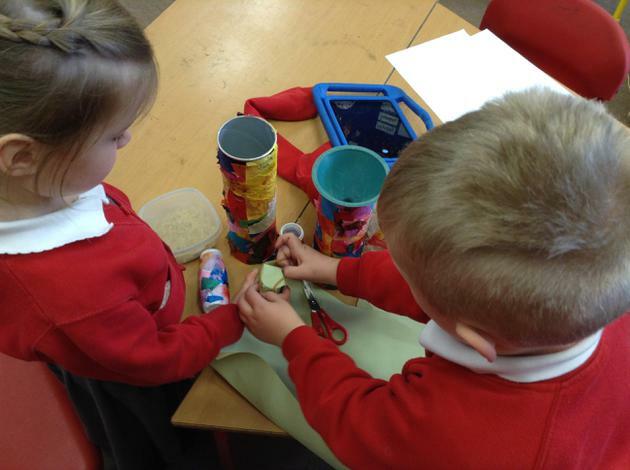 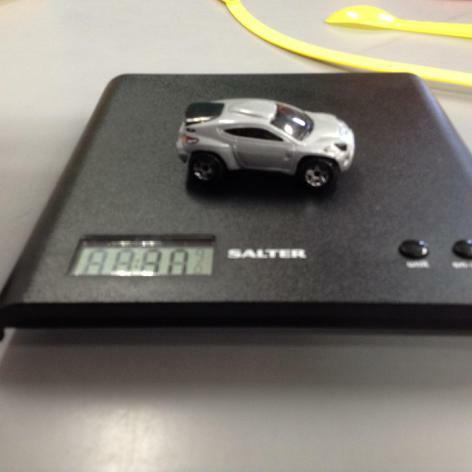 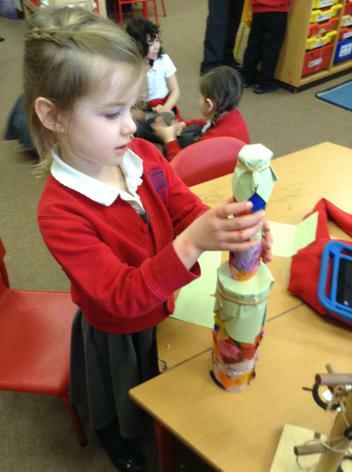 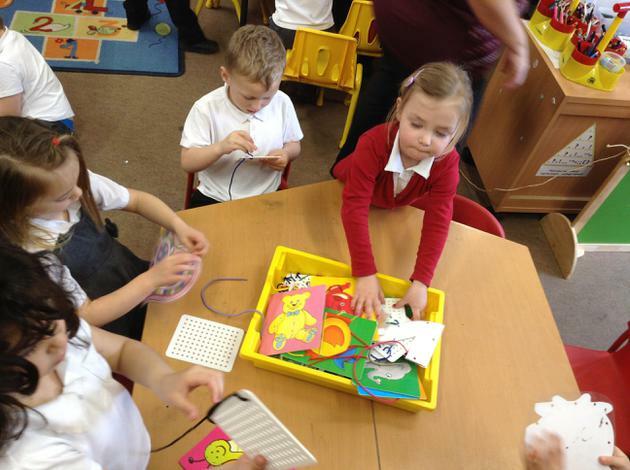 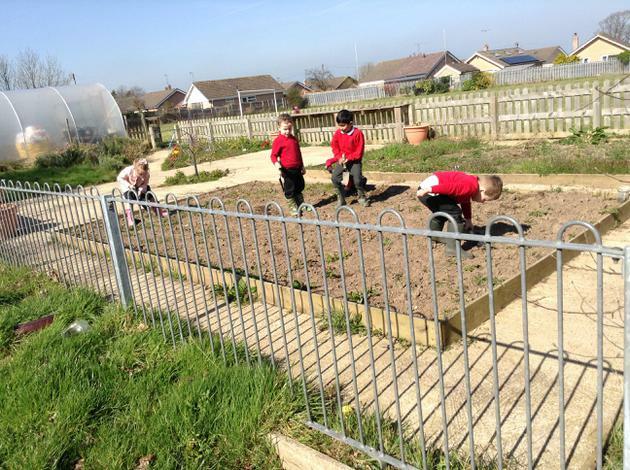 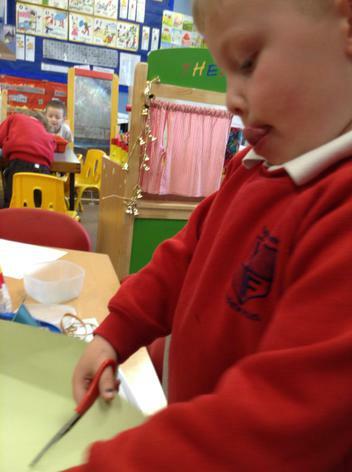 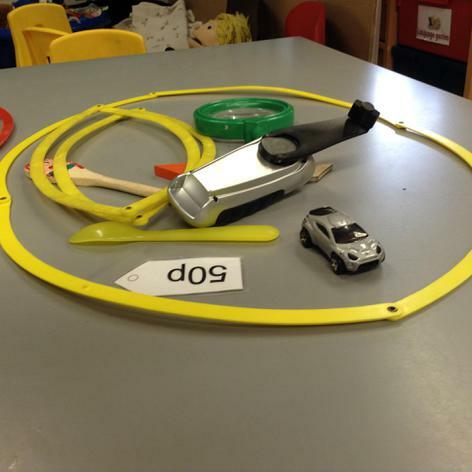 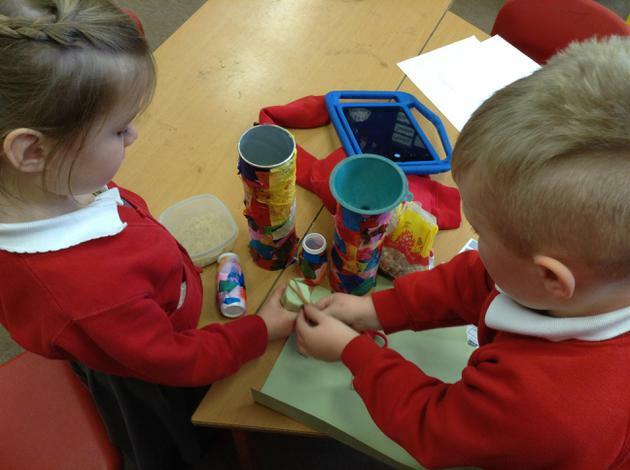 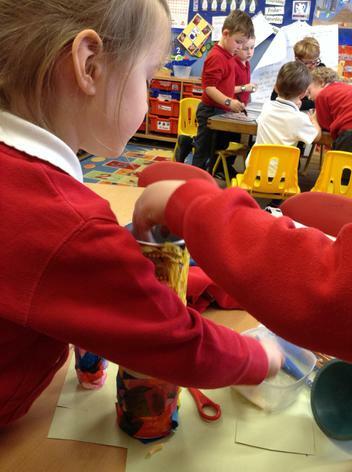 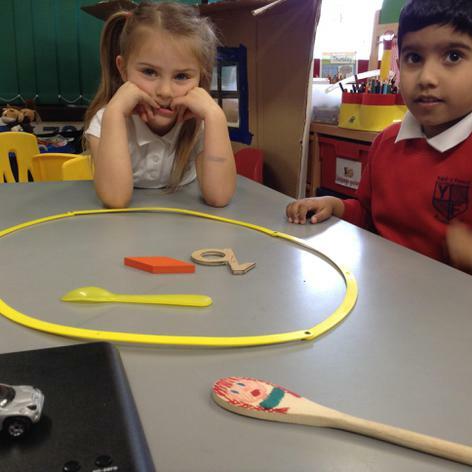 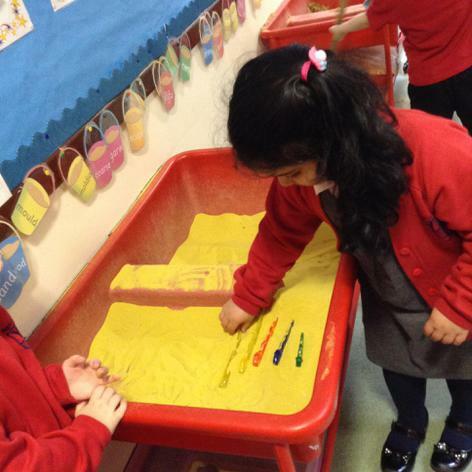 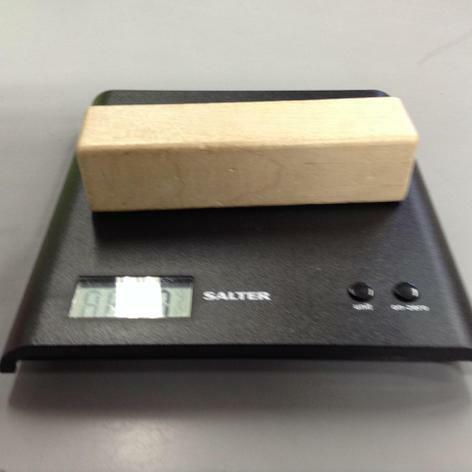 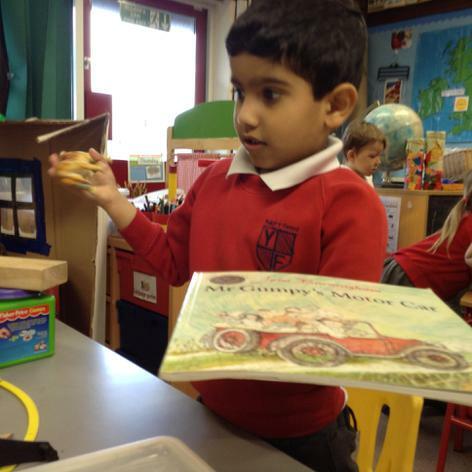 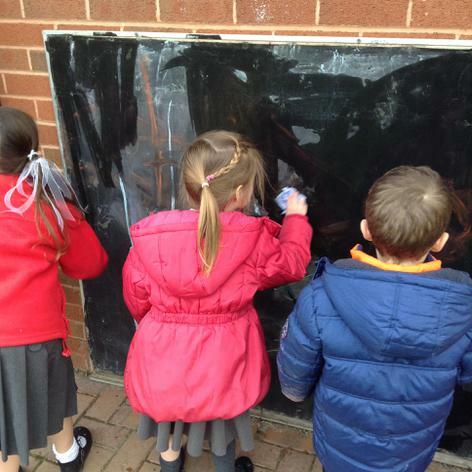 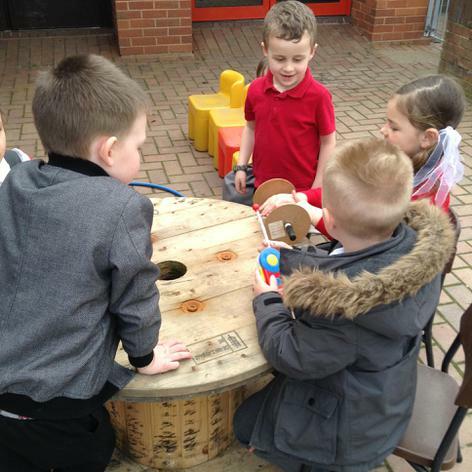 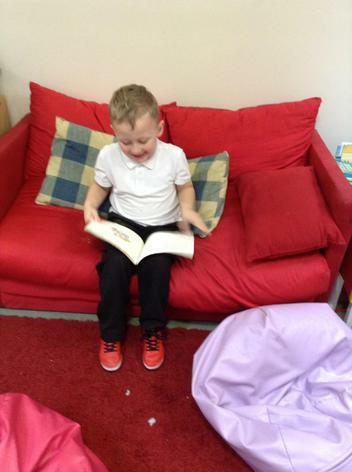 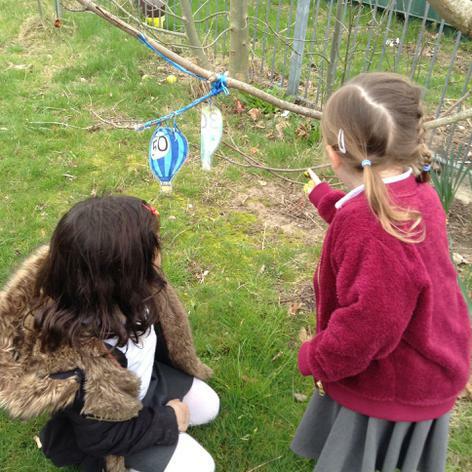 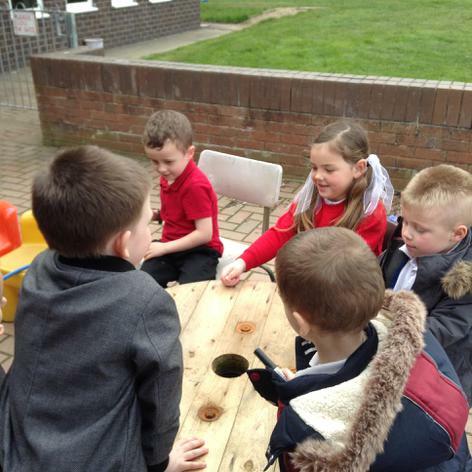 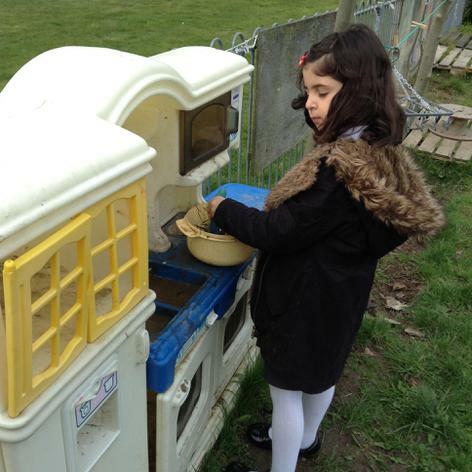 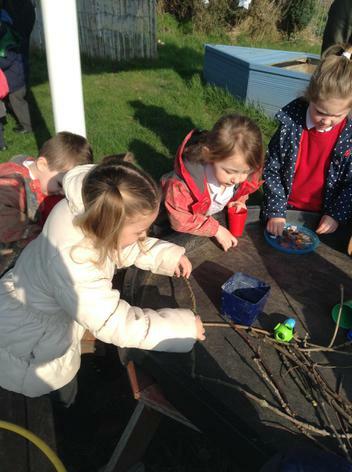 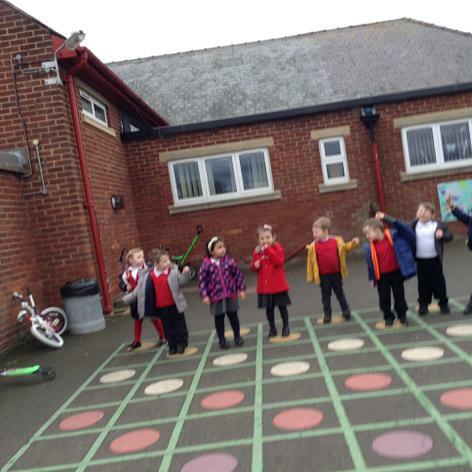 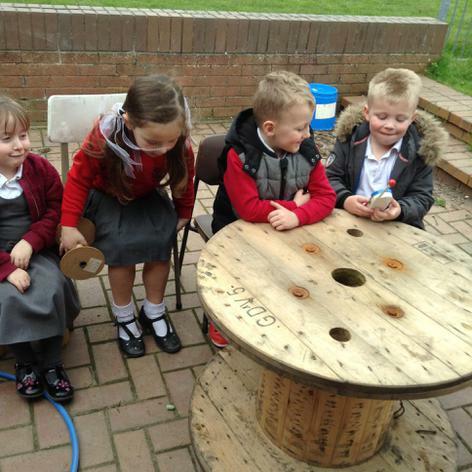 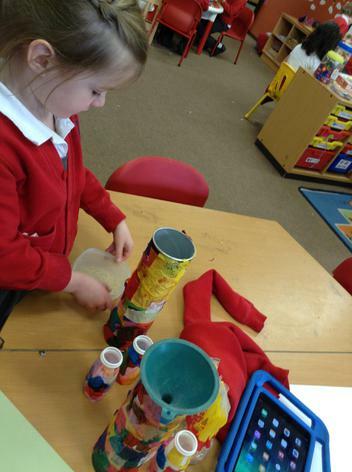 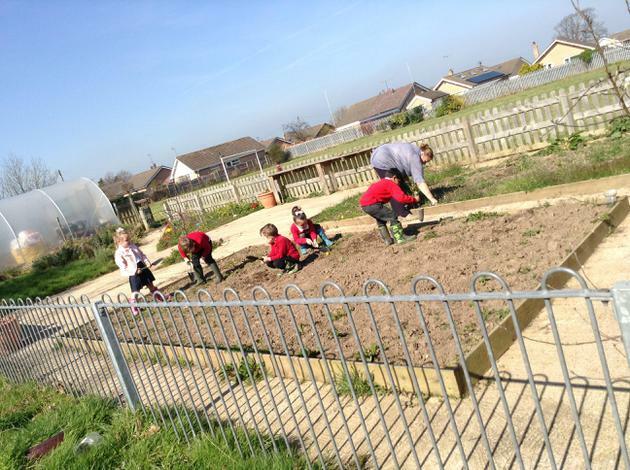 We've been measuring 'worms' and investigating weight, comparing items to our class book 'Mr Gumpy's Outing'. 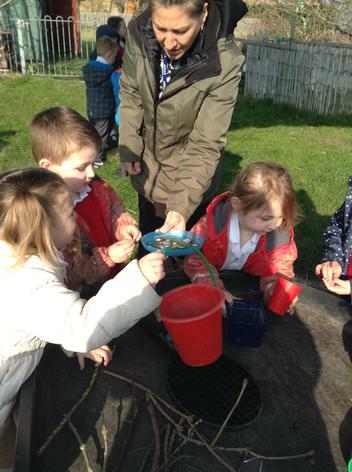 We talked about how we can help protect the waterways in our country and all promised to put rubbish in a bin not in a river or sea. 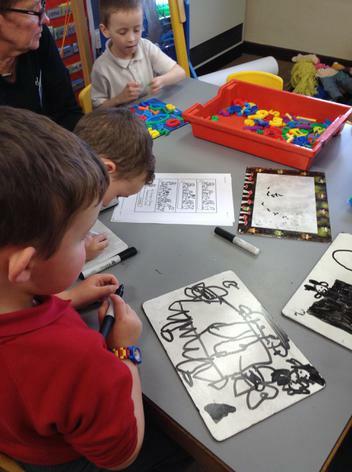 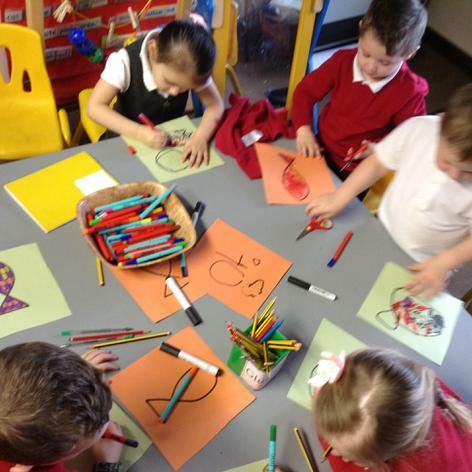 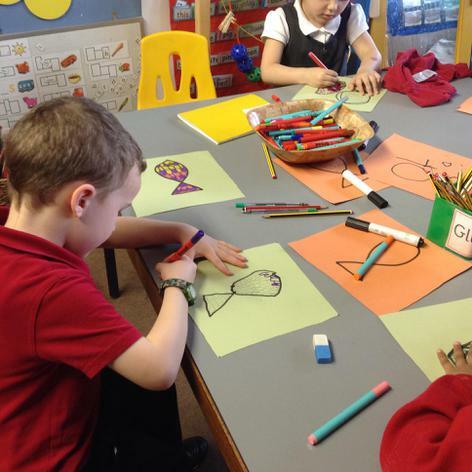 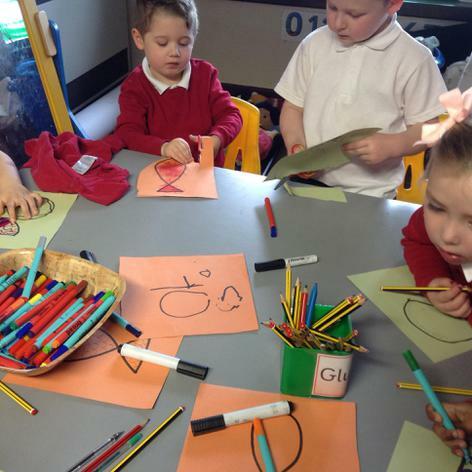 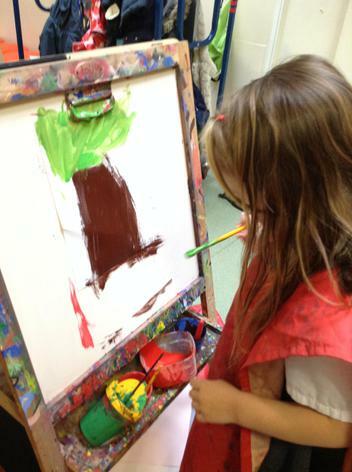 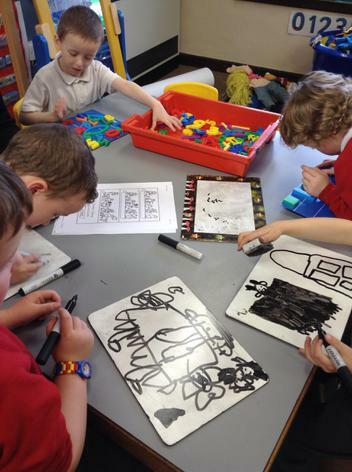 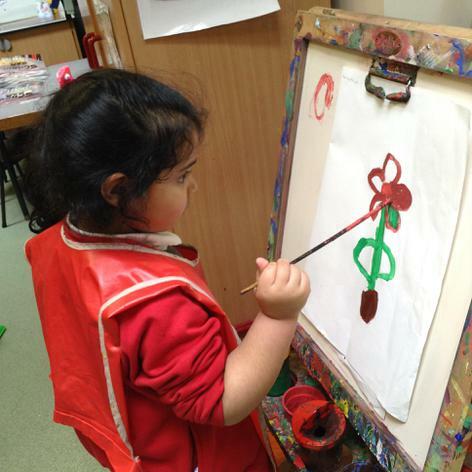 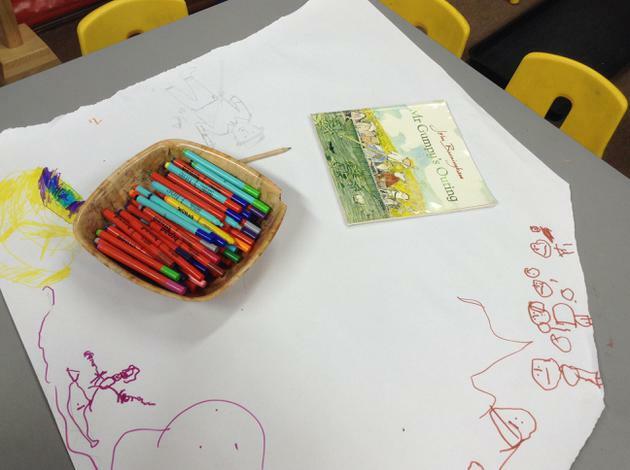 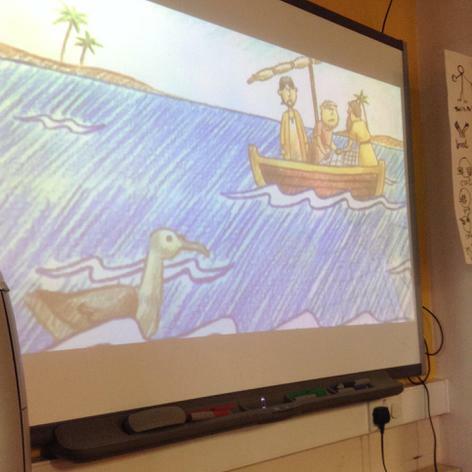 We have been drawing fish and talking about miracles. 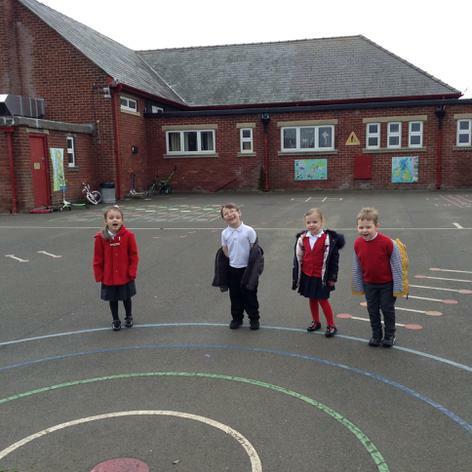 We didn't know much about them. 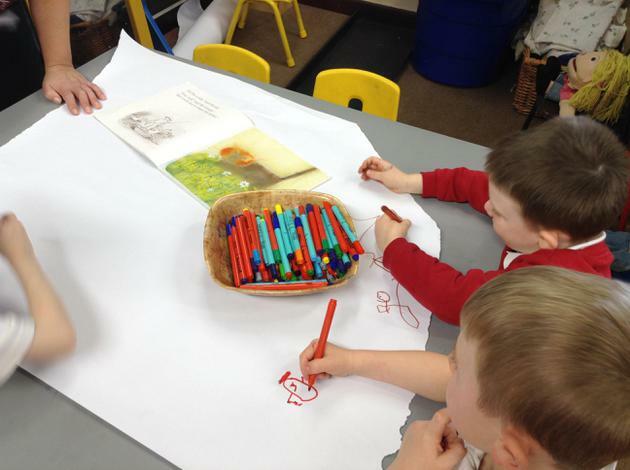 We tried to draw around shadows but the sun went in so we adapted and drew around our model animals. 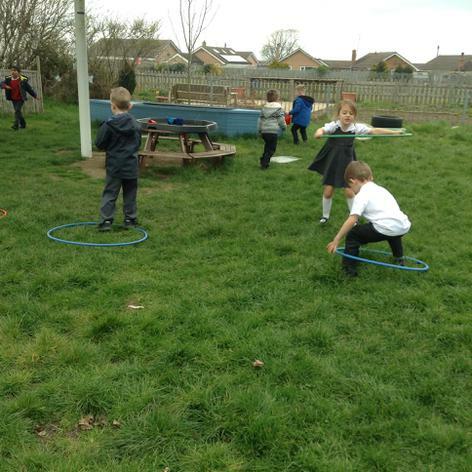 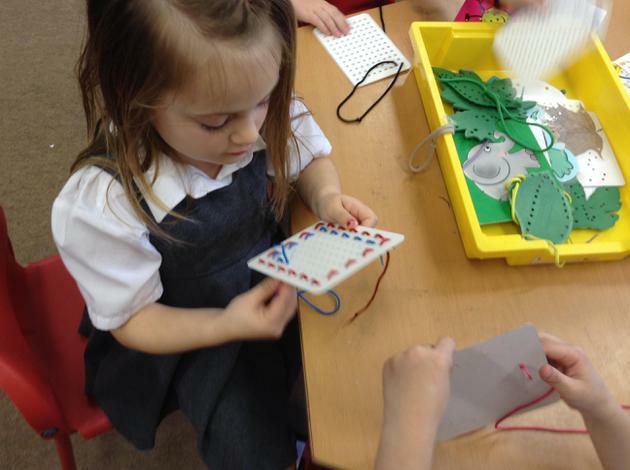 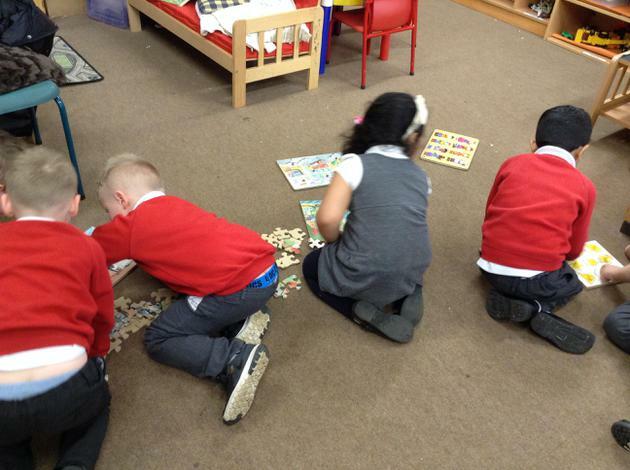 As usual we have developed our own games and projects during free choice and have enjoyed completing the challenges in our Challenge zone. 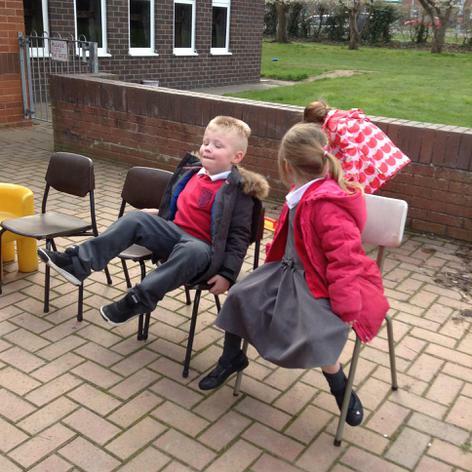 We know how to have fun.